Most folks experienced in intraday stock and futures trading are aware of the VWAP, which stands for Volume-Weighted Average Price. 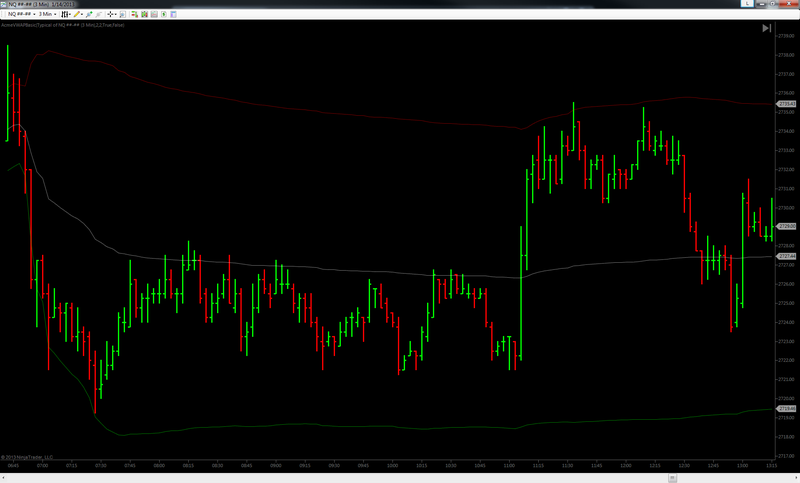 VWAP is important for a couple of reasons. First, market makers’ buy and sell performance is often gauged relative to the day’s VWAP prices, so they tend to take action near it. Second, many accumulation and distribution algorithms are designed to trade at or near the VWAP – or as far away from it as is statistically probable to get the best prices. If you are a value-oriented trader (meaning one who trades extremes back to value or breaks from value), then the VWAP pack is one you may find you won’t ever want to be without. Maybe that’s overstating it a bit. Or not. You be the judge. Indispensable? As we said above, that may be overstating the case a bit. But what we can say with certainty is that the VWAP Value Channel is the perfect partner to the Acme Volume Value Channel and TPO Value Channel studies. With this study we offer 3 ways to quantify value based on 3 different though complimentary analysis methods. While you can certainly use any of them individually, since 3 is the magic number, using these studies together can be a hugely powerful help for those of you who define trade-able value levels via confluence. Available in the Pro Edition only. 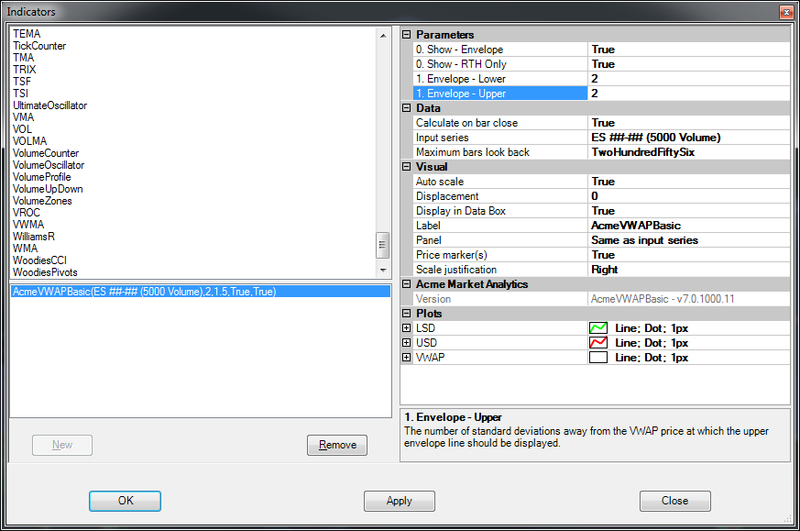 High resolution, efficient real-time VWAP calculation on all bar types with two resolution settings. The Maximum resolution setting is recommended for intraday charts, and the High resolution setting is recommended for other time frames. 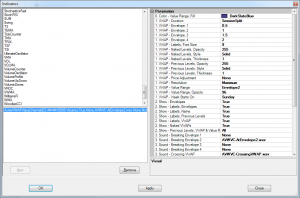 Supports Continuous, Yearly, Monthly, Weekly, Session and SessionSplit durations. If your instrument is set up for split sessions with the other Acme studies (such as the session volume or TPO profiles) the SessionSplit setting will split ETH and RTH sessions on an ETH chart automatically. Sports 4 levels of standard-deviation based envelopes above and below the VWAP. 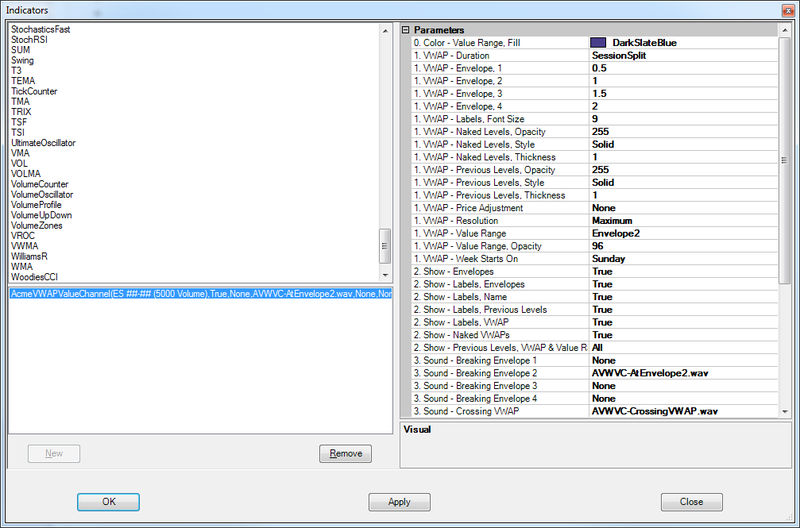 Each envelope’s width is configurable. 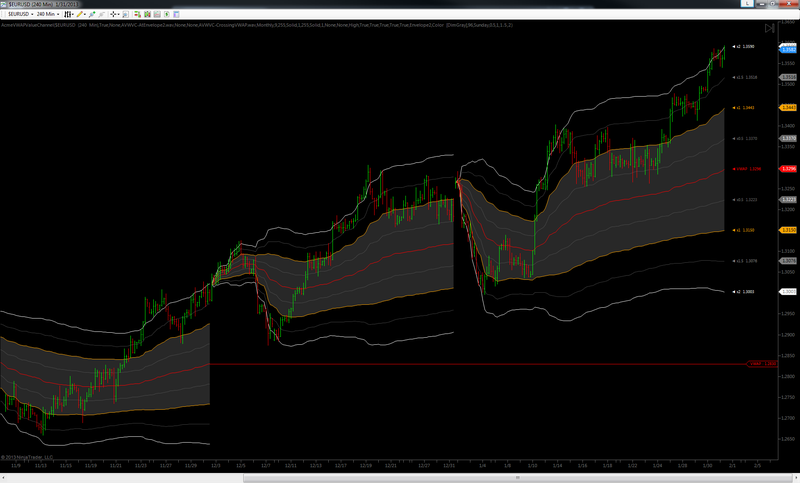 Value range – the shaded area around the VWAP shown below – can be set to span any of the 4 envelope levels. 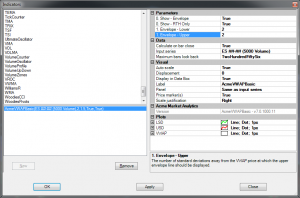 The value range is conceptually similar to but not to be confused with a volume or TPO value area. 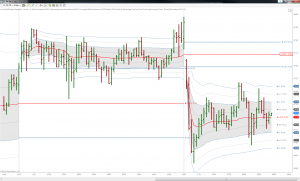 Optionally extends the previous VWAP plus the value range high and low to the next channel segment in Session, SessionSplit, Weekly and Monthly durations. 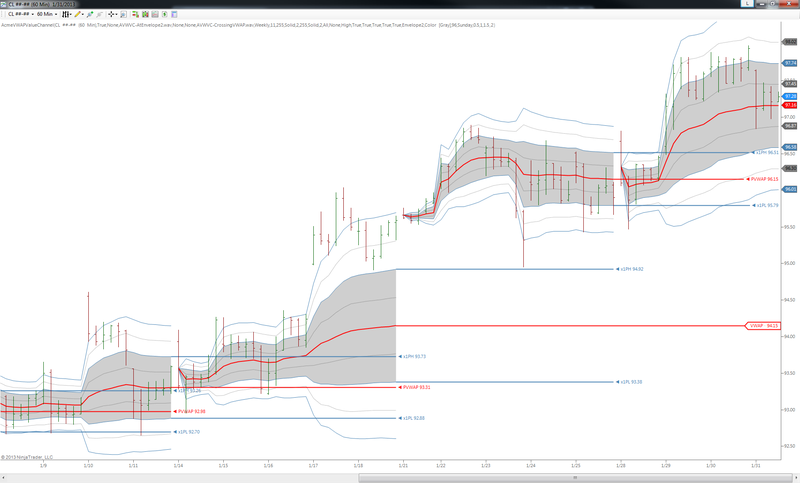 Optionally extends naked VWAP levels into the future until touched again at a future session or day. Has optional audio alerts when price crosses the VWAP or to signal new volatility when price moves away from the VWAP to any of the envelope levels . Start of week day (Sunday, Monday, etc) is configurable for traders who are many time zones away from the exchange they trade. All colors and styles are configurable as per the Acme way. 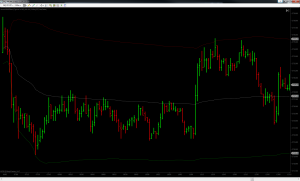 Don’t believe what we said above about the VWAP’s importance and meaning? Have a look at what happened to the NQ’s price action as it touched the second standard deviation under VWAP, pictured in the middle screenshot below. 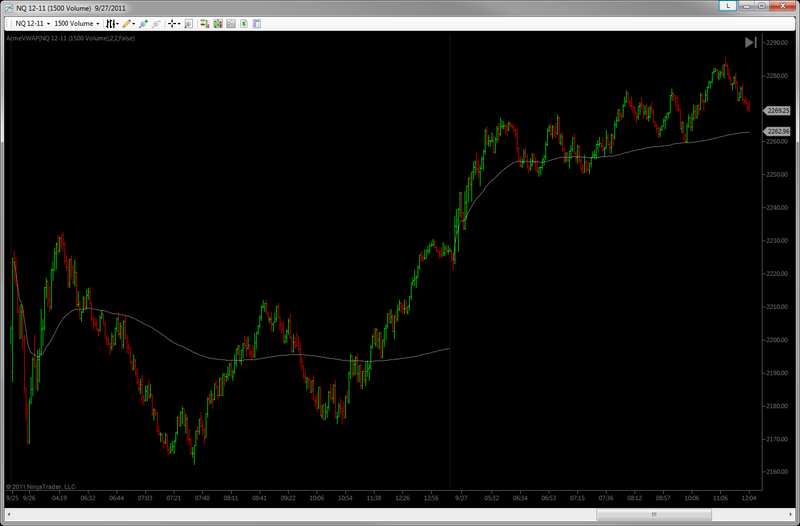 Then notice where it found resistance (twice) and finally support afterward. Seeing should be believing. 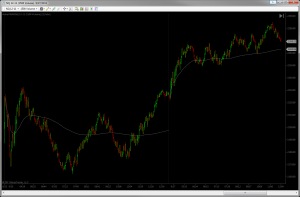 So if you’re not already tracking VWAP’s position intraday you should at least consider folding it in to your strategy. 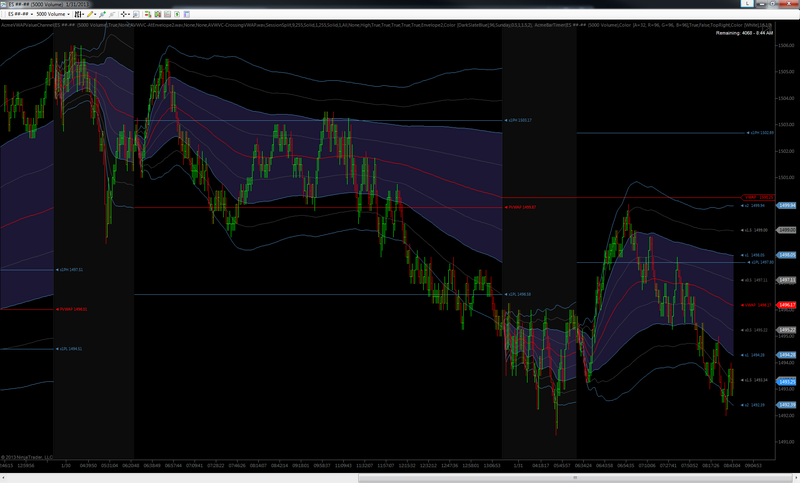 Calculates and plots only the intraday VWAP. If you are using an ETH session template, price will be calculated from the start of that session and will include overnight prices in the calculation. If using RTH, price-volume calculation starts there. If you have defined an RTH session for your instrument as the default session template, the RTH-only VWAP can be displayed on an ETH chart. Can be used with or without moving “envelopes” which mark the number of standard deviations the current price is away from the VWAP.